It is my pleasure to inform you that the recipients of the National Save the Sea Turtle Scholarship for 2013-2014 are Courtney Cocilova, Jacob Lasala, Karen Pankaew and Boris Tezak. We are extreamely proud of our students and their academic achievements and are very grateful for the opportunity that this scholarship provides. This year, we are planning a special event to honor scholarship donors and award recipients. I want to extend my personal invitation and hope that you will be able to join us on Friday, April 11, from 5:30-730 p.m. The event will be held in the Grand Palm Ballroom, Student Union on the Boca Raton Campus. 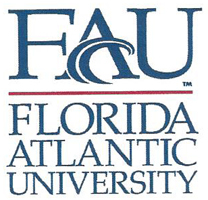 Please RSVP to Paige Garrido (561-297-2526) or pgarrido@fau.edu. If you are to attend, I look forward to seeing you at the ceremony.